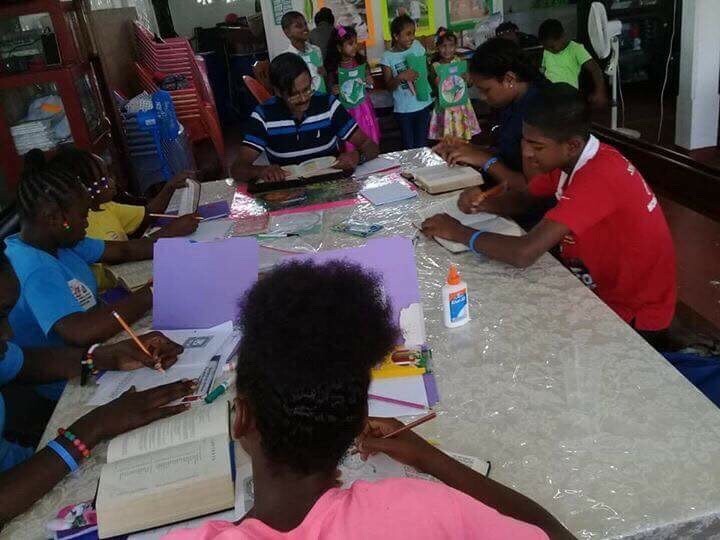 A few years ago, several ecclesias in Guyana began to organize in their respective areas a Vacation Bible School (VBS) for the Sunday school students and the surrounding community young people. These schools are organized for an entire week, during the day each day, where the children enjoy Bible songs, lessons, crafts and games. The effort and dedication to put these schools on by both brethren and sisters for an entire week in the summer months is extraordinary, and the response to their efforts was truly a blessing from the Father Himself. This year four Vacation Bible Schools were organized and each received a tremendous response to their efforts! 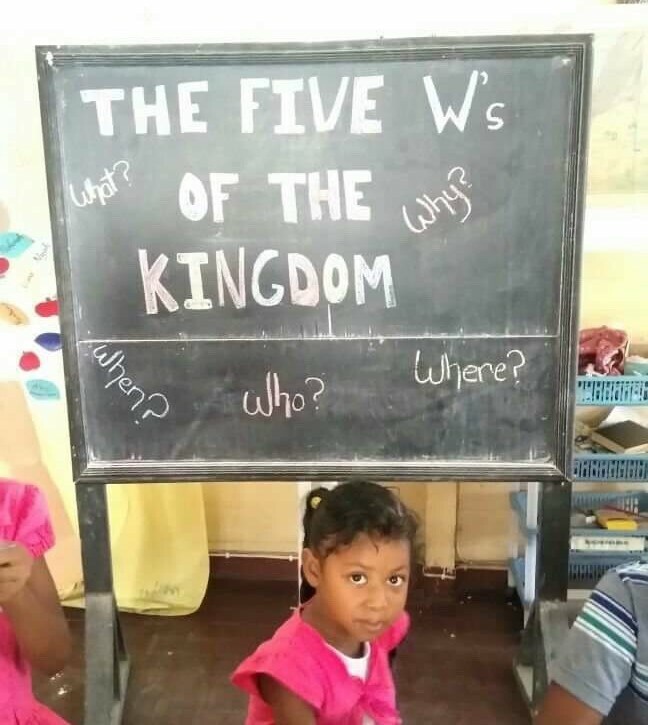 Working with a few sisters at the Toronto West ecclesia in Canada, the organizers in Guyana selected a single topic for those holding the schools – “The 5 “W’s” of the Kingdom”. Their subjects covered “Who will be King?”, “What will the Kingdom be like?”, “Where will the Kingdom be?”, “When will the Kingdom take place?” and “Why will there be a Kingdom?” What greater topic could we teach our young in this age?! In support of the VBS effort, a large barrel of donated supplies was sent from the Toronto West ecclesia last spring specifically to support their work. In that barrel contained bundles of crafts supplies for each school, including small prizes to hand out for the children, pre-made craft kits enough for each student on a variety of days, activity work books and a whole host of additional fun supplies to support the great teaching work being done by the leaders. 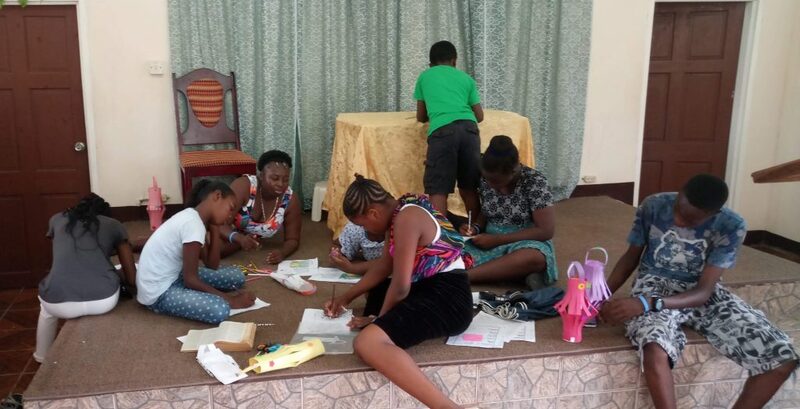 Our thanks to the sisters who worked so hard for many months ahead of time to put together the lessons and crafts, and those brethren and sisters who supported by adding a little bit of financial support to help purchase some prizes and supplies. Most of all we are so thankful for the organizers in Guyana who have offered their time and the volunteers from each ecclesia that worked to pull this great work together. The results are so encouraging! In total, over 120 young people received instruction in our wonderful hope of the Kingdom for a full week of studies! Some of these children were our own Sunday school students, but many are children from the surrounding community, some with the promise that they may attend the Sunday School throughout the year. What a wonderful way to witness the good news of the gospel by fostering positive interactions with the community and teaching our young of the Hope of Israel. It is our hope and prayer that we can continue to support the VBS programs each year that our Lord continues to remain away. If you would like to assist in any way, your help would be most appreciated. 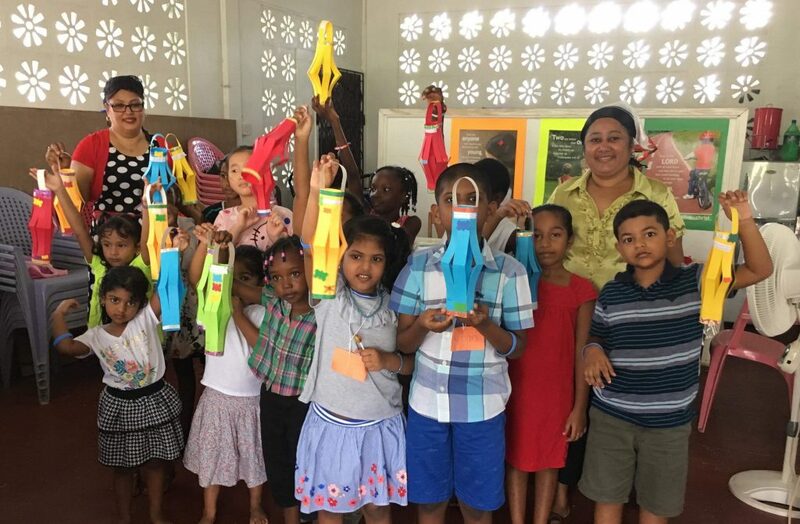 Supporting the Save the Children Fund is key to providing Sunday school supplies to Guyana and all areas of the Caribbean. If you would like to make a financial donation for Sunday School supplies, please visit the Save the Children Fund website www.christadelphianchildren.com. If you would like to help in preparation of a craft or two for the VBS barrel to send down in the Spring God willing, please contact Sister Liz at markliz.carr@sympatico.ca. Above all though this effort would benefit most from your prayers that this work continues to be blessed by our Heavenly Father. While sometimes we may struggle with getting adult men and women to respond to the Word whether in Guyana or North America, it’s often in working with our youth that provides us hope and joy that there still are those eager to learn of God’s plan with the earth.